Overlooking the Tolomoto River in St. Augustine, Beaches at Vilano is a laid-back bar and grill with a Caribbean vibe. The restaurant has indoor and covered outdoor seating and two tiki bars. The perfect place for watching the sun set on the Intercoastal, Beaches at Vilano has live music Friday and Saturday nights. 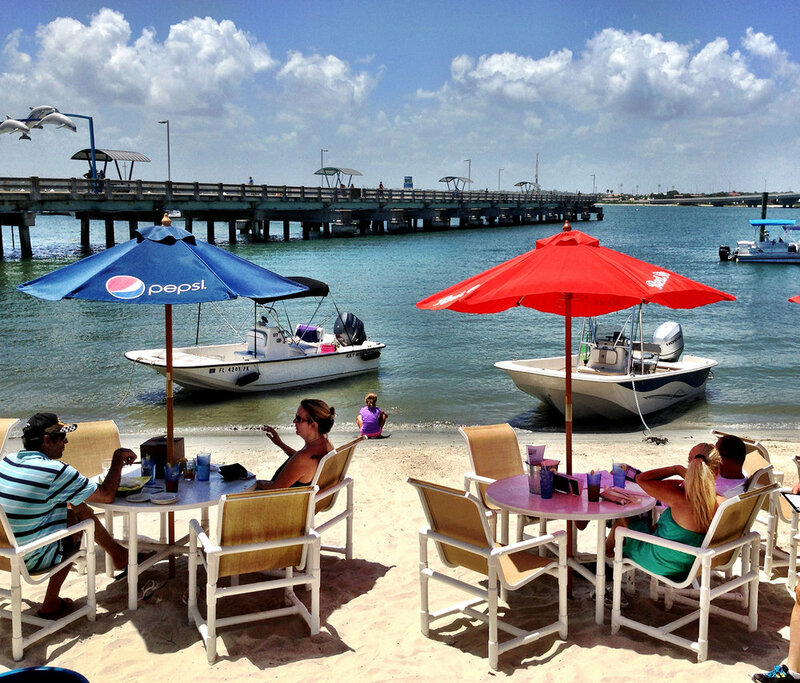 Located near the Francis and Mary Usina Causeway on A1A, Beaches at Vilano has ample parking, but many boaters simply drop anchor to pay the bar a visit. From fried gator to sunset shrimp tacos, the menu focuses on seafood while still covering all the typical bar favorites from nachos to burgers. There’s a daily fresh catch special and happy hour (Monday-Friday 3-6 p.m.). Speaking of cocktails, try a rum runner or paradise punch in a bucket. Yes, a bucket. Other Caribbean favorites like Beaches’ Goombay (their play on the Goombay Smash) and the Pain Reliever (similar to Soggy Dollar Bar’s classic Painkiller) are also on the menu.